So, all i did was.. Though it looks like a fast one, it took me quite some time to come to this result :) Result that I actually really like. Hope you do to. 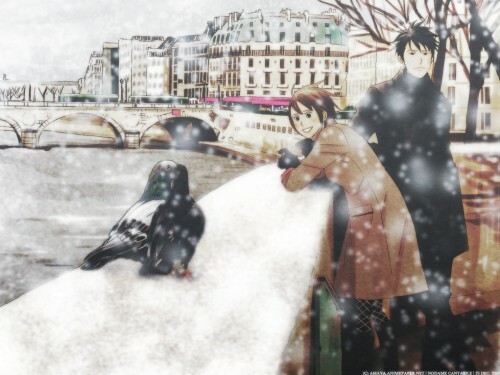 well you did a nice job cleaning the scan, and painting (i suppose) those spots and even though I dont quite enjoy walls with snow this one looks very good considering that it's a cool panorama view of the city, which kinda looks like london or something in a cold winter. OMG! this is just so beautiful! Nice job cleaning the scan! such a great pic for this wintery season. the snowy scene fits this images so well. Wow big difference from original nice one, thnx for sharing.